Length: 6 hrs. 55 min. A celebration of an unlikely friendship between a Christian missionary evangelist and a Hindu activist leader. 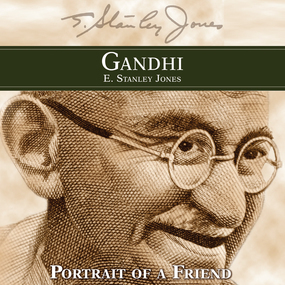 The original edition has been updated by E. Stanley Jones Foundation in conjunction with Anne Matthews-Younes, granddaughter of E. Stanley Jones, and Arun Gandhi, grandson of Mahatma Gandhi.